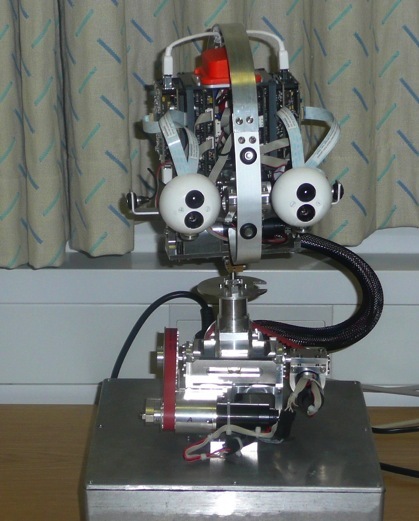 Computer vision is crucial for achieving adaptive, flexible, and robust robotics. In recent years we have witnessed a significant progress in the areas such as 3D object and scene acquisition and modeling, real-time processing and visual learning. In particular, statistical approaches stemming from machine learning have led to the development of many impressive vision systems, whose performance can, in some cases, even surpass human capabilities. However, despite this significant progress, the success stories are manly limited to specific tasks and scenes. General-purpose vision, as needed by robots to operate in ever changing natural environments and interact with people, remains elusive. What is needed is a development of representations and learning mechanisms that provide capabilities to acquire new visual models and procedures in an incremental (developmental), open-ended way, grounded in the experiences of the robot acting in its working environment. Active robot exploration can provide new data, which is highly relevant for expanding the robot’s capabilities. However, the solutions how to achieve sharable representations and scalable mechanisms to enable visual learning from a small amount of data, remain vital for the overall success. The goal of this workshop is to bring together robotics and computer vision researchers interested in developing advanced robot vision systems, capable of active and open-ended learning of visual representations for recognition, tracking, manipulation, navigation, and surveillance on general-purpose robots. The program can also be downloaded as pdf. The workshop will take place on May 31st, 2014, as part of the workshop programme of IEEE International Conference on Robotics and Automation (ICRA), which will be held in Hong Kong, China. IEEE-RAS Technical committee on Humanoid Robots.